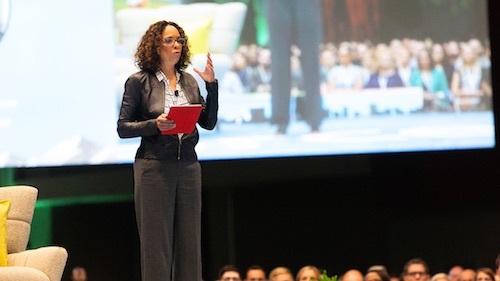 Dreamforce is the largest gathering of Customer Trailblazers but it’s also for music lovers. We’re pumped to bring back the music festival-experience back to the Dream Valley! We’re talking live bands, rocking out in the sunshine of a San Francisco day! In the middle of the campus, on Howard Street, is one of the most magical places at Dreamforce — the Dream Valley! We’re hosting non-stop fun on the Dream Valley all week long, including awesome bands, live karaoke, opportunities to volunteer, and games. Grab a coffee at the Dream Valley Cafe, see the Salesforce Mascots the Mindfulness Tent and enjoy some time with the monks from Plum Village. Ready to get educated and give back? Spend some time at the Learning Cabin with activations and education by Salesforce.Org and our Sustainability team. After the huge success of the past four years of the Dreamforce Music Festival, we are continuing to provide awesome musical entertainment during the conference with 15+ bands taking the stage throughout the week. Check it out from the ground, or head upstairs to the 2nd level viewing deck. We are so excited to announce the addition of amazing artists and bands to the Dreamforce 2017 lineup. What started as three guys getting together just to see if they could ever make "Stash" sound anything like it ought to, has turned into the Bay Area's only Phish Tribute Band. Chum features Salesforce's own John Greene on keyboards. Born and raised in Aotearoa, New Zealand, LT Smooth spent many years of his life doing drugs and alcohol, and running from the law and the people that loved him most. He has been eighteen years sober now, and would not change a thing. His music has changed his life, his lyrics a journey through the struggles he has conquered. He uses his music to help, encourage, heal, and to mend what we go through in life. The Amazing Embarrassonic Human Karaoke Machine is an interactive rockstar fantasy experience that allows you to front a real, live, 3 piece rock band. They've got guitars, bass, drums, keyboards, a stage and a repertoire of over 500 songs, but without you, they are nothing but a crappy jazz/fusion instrumental headache. So read over the song list, pick a song you’re familiar with and sign up to sing with the Amazing Embarrassonic! After amazing success with his band, Overtone, Emile Welman has struck out on his own. For his new project, Emile is focusing on hip-hop and R&B, but with a little twist, or rather, swing. His crooning voice, ranging over three octaves, naturally lends itself to the jazz and swing eras. He's planning on making jazz popular again, but with a hip-hop/R&B influence. Since 2009, Foreverland has been mesmerizing audiences around the country with their larger-than-life tribute to the one and only Michael Jackson. Featuring four dynamic vocalists, a powerhouse rhythm section, and the hardest working horn section in the biz, Foreverland recreates hits from the Jackson 5 era through the end of Michael’s incredible career in a way that honors the King of Pop’s musical genius and legendary showmanship like no other tribute band has ever done. Brad Absher’s Gulf Coast sound recipe includes equal amounts of blues, soul, and gospel, stirred up just right into a magical gumbo that goes down easy and has a spicy kick to it, recalling the best of Memphis and Muscle Shoals, too. 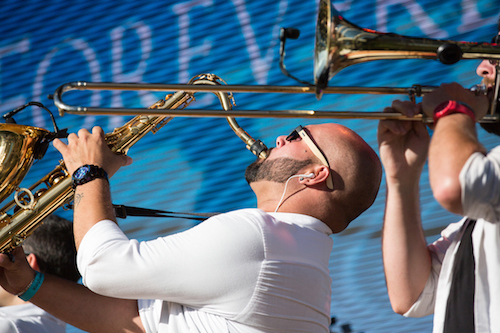 Led by charismatic vocalist Alexa Weber Morales, Boca Mundial is a “flamboyantly multilingual” (San Jose Mercury News) jazz band freely mixing infectious traditions including salsa, bolero, samba, and funk. The dynamic salsa dancer and Grammy-winning singer/songwriter leads the vibrant Boca Mundial through creative sets of Spanish, French, Portuguese, English, and even Italian jazz. It’s jazz but not jazz. It’s soul but not soul. It’s blues but not blues. It’s reggae but not reggae. But whatever it is, it makes people happy. Emerson has been moving and grooving audiences for 15 years with his soulful voice and seductive instrumentation. What’s more, Emerson touches people. With passion and intensity, the singer/keyboardist sings of love, desire, and human connection. Dogpatch finds its unique San Francisco sound in that interplay between an unstable land and an unforgiving sea; between the rock that rolls and the rolling surf that rocks. Drums that careen like the hills and streets, guitars that blaze like the sun and slip like the fog, lyrics that evoke the lust of the boom and the regret of the bust. Little Kids Rock transforms lives by restoring, expanding, and innovating music education in our schools. That is Little Kids Rock’s mission, and since 2002, we have given more than 650,000 underserved schoolchildren across the U.S. access to fun, engaging, Modern Band music classes and brand new instruments at no cost to the students, teachers, or school districts. We’ll be bringing some of these amazing students to the stage to showcase their skills. Born in Germany in 1970, Teja Gerken began his journey on the guitar at the age of six and became a serious student of the instrument after his family moved to California in the mid '80s. An active participant in the vibrant San Francisco Bay Area acoustic music scene, Teja is a regular performer at many of the region's venues. A firm believer in creating community, he hosts a monthly acoustic guitar showcase (currently at Fairfax's Sleeping Lady ) which features both established and emerging players. Teja also frequently introduces international talent to Bay Area audiences. Benfield’s shows center on his quirky pop melodies, but are stretched by Garrin into improvisational explorations into new territory each night. Familiar songs are often twisted and contorted into gorgeous new creations that leave audiences breathless. At once organic and eclectic, Garrin’s shows are an experience as much as they are a musical concert! Utilizing electronic effects and a loop station, audiences find themselves grooving to atmospheric rhythms and settling back into Benfield’s soothing vocal style. The musical stylings of Katie Cash harken to a time when rock n roll inspired revolution. In the manner of legends, she handles her guitar with an unparalleled command, embodying the music with every fiber or her being — hair flung as staccato punctuations to the heart she wears on her sleeve. She owns her vocal delivery, swinging you between high & low in an array of lustful richness and provocative rhythms. Perhaps most known for her well-loved band and brainchild Dolorata, she currently shares lead vocal and guitar duties in Oakland based bands Year of the Fist, & Skip the Needle, gliding between punk rock and rock n soul with graceful authenticity her fans have come to love. 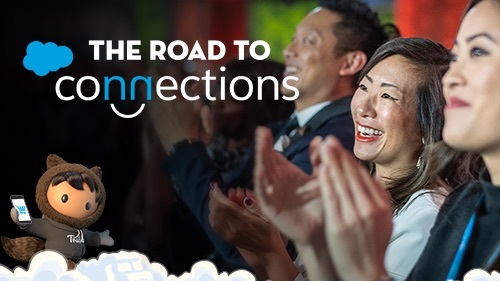 Let the good times roll on the Dream Valley during Dreamforce! Note: Free Expo+ Pass holders have access to some of these performances. 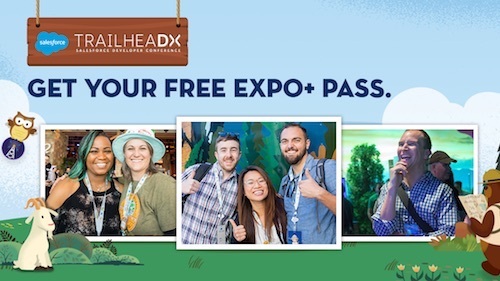 Get details on Free Expo+ Pass accessibility here.